Between the several clones of Google Glass, it may seem that a wearable built into the form of smartglasses is a played out cliché. Yet as long as there is innovation within the field and room for improvement, there is still quite a bit of usefulness and profitability to be found in smartglasses, and wearable technology startup i2i Inc. is working on its contribution to the field: the iPal. The iPal is unique because it is the first of its kind to track the motions of a user's eyes and respond accordingly, allowing for an intuitive control setup unlike anything that's come before. What's even better is that this product is already ready for crowdfunding on Indiegogo. When it comes to wearable technology, crowdfunding is actually one of the best ways to go. This is largely because the wearable tech industry is still in its infancy, which levels the playing field between startups and larger corporations. Innovation and bright ideas win out when there are no established groups monopolizing research, and i2i is showcasing that concept with their introduction of the iPal. Using four cameras to track eye motions as well as the surrounding area that a user is looking at, the iPal is controlled by eye gestures and actively works to anticipate the user’s needs on the fly. Common gestures include winking and blinking, but users can add custom gestures to help tailor the wearable device to their own needs for capturing photos, videos and more. Users who are intimidated by the fact that they will need to use their eyes to control the product have no need to worry, as a touchscreen control unit that houses the processor can also be used to take over when needed. It also holds the memory unit for the device. 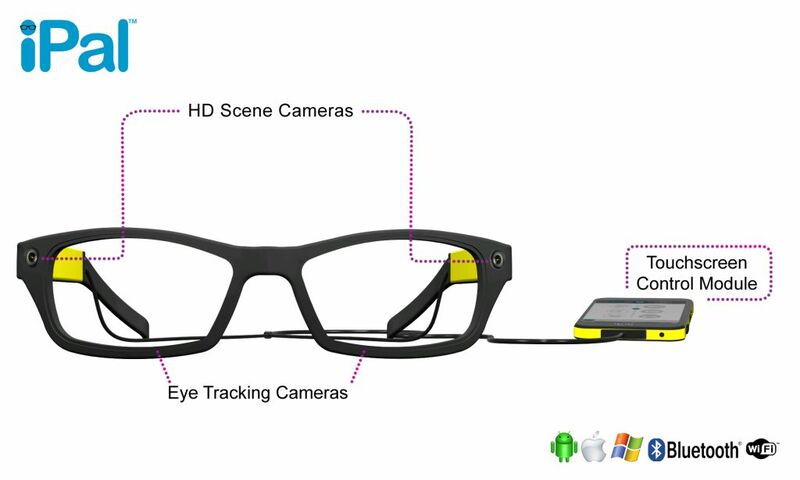 On top of all of this, the smartglasses are also designed with appearances in mind, as the glasses are lightweight, stylish and thin.